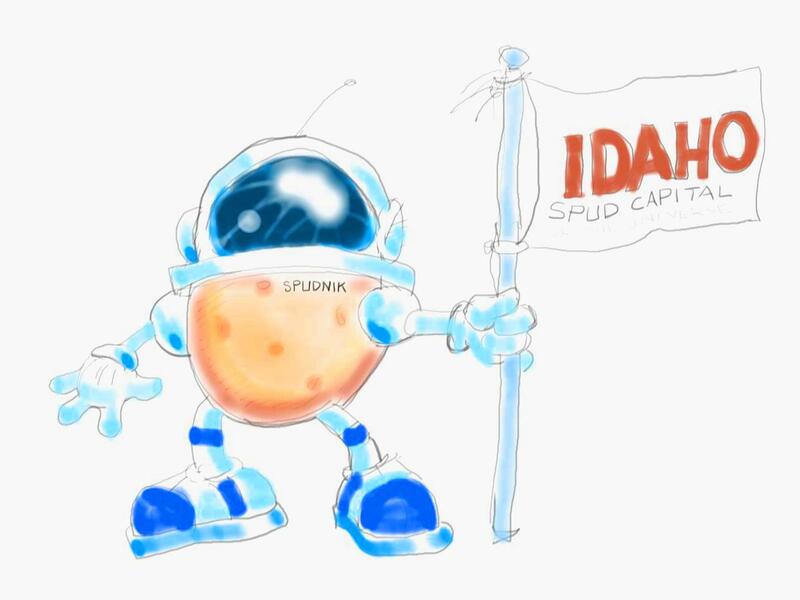 "Spudnik" is a first shot at a digital doodle, which does not come as easily for me as sketching on paper. I used a Bamboo tablet and Sketchbook Pro. Having been an avid follower of Mercury, Sputnik and Apollo as a child, I thought the idea of Spudnik the astronaut who claims the moon for Idaho was funny. Yeah, it does not take much to amuse me. Ok, the real Sputnik is . . .